This is the largest game in the Lock 'N Load tactical series yet. It is about the desert war from 1940-1943: North Africa WW II Rommel, Cruewell, Montgomery, O'Connor, Graziana, and Gariboldi plus lots and lots of sand. 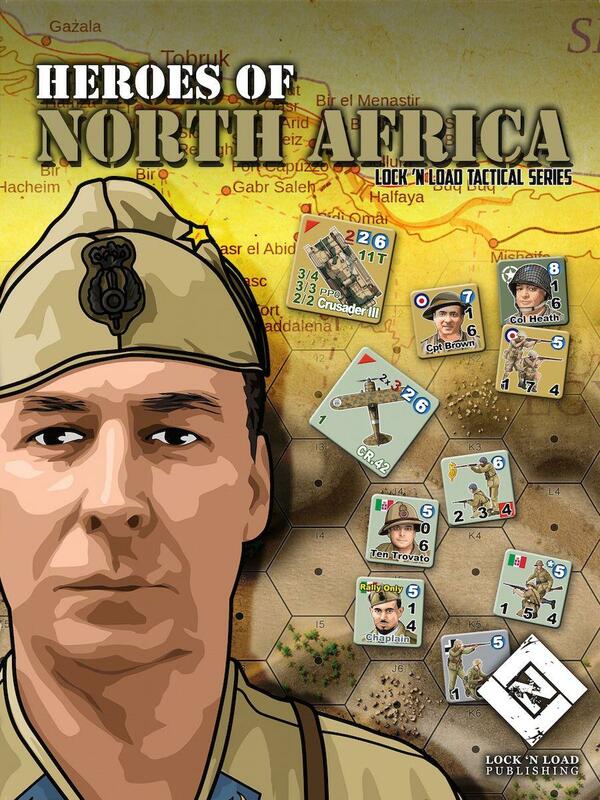 For your gaming pleasure LNL has brought you the forces of Italy, Germany, Britain, France, and the US. Let us go through a checklist of what comes with the game. The Turn Record Track also has some information on it. 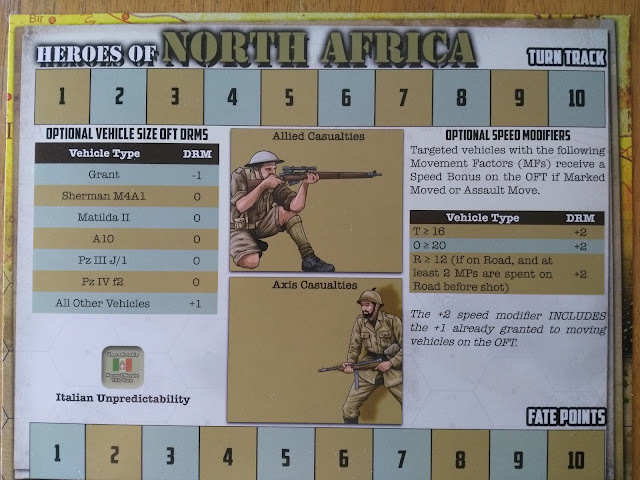 Most of the scenarios are ones in which the English are fighting the Italians. The game comes with twenty scenarios, but your imagination and history can come up with many more. There are three I saw that had Germans and Italians fighting as allies. There are even a few with US troops fighting Vichy French troops. Most of the scenarios only use one map piece, but there are a few that use two. 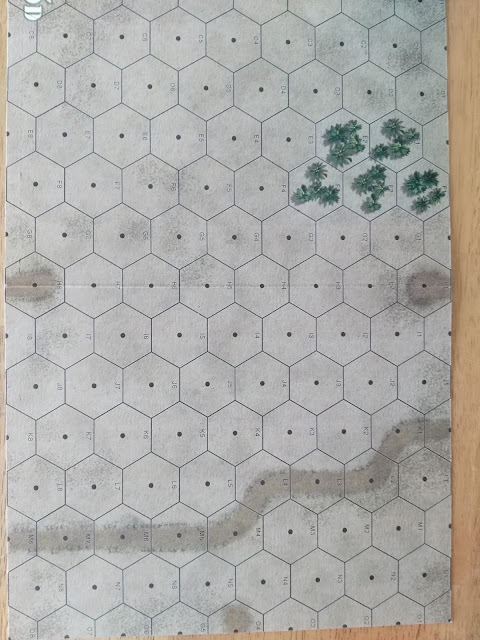 There is only one scenario where three map pieces are used. There are actually six 8.25 X 12.75 single sided maps, and six double sided 8.25 X 12.75 maps. The hex size is fifty meters across. 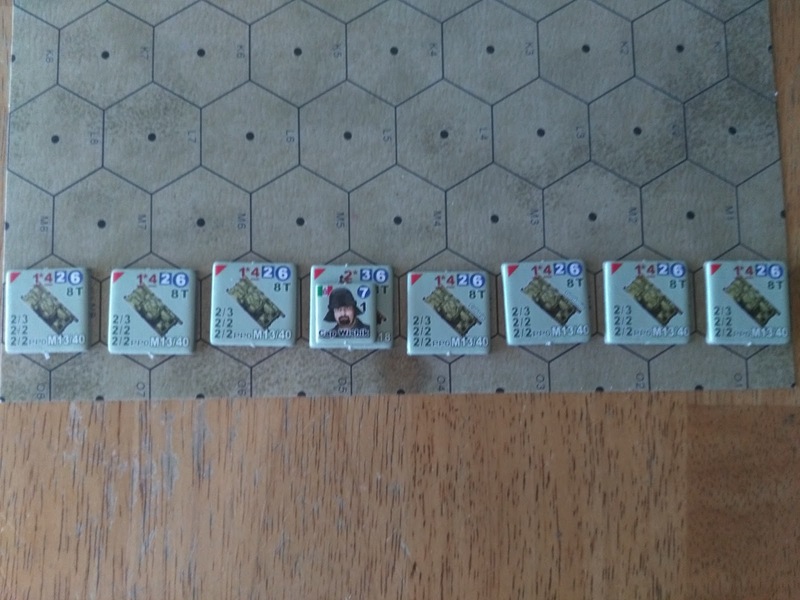 This is tactical warfare up close and personal. There is not much room, if any, to maneuver, and sweeping encirclements are not happening. 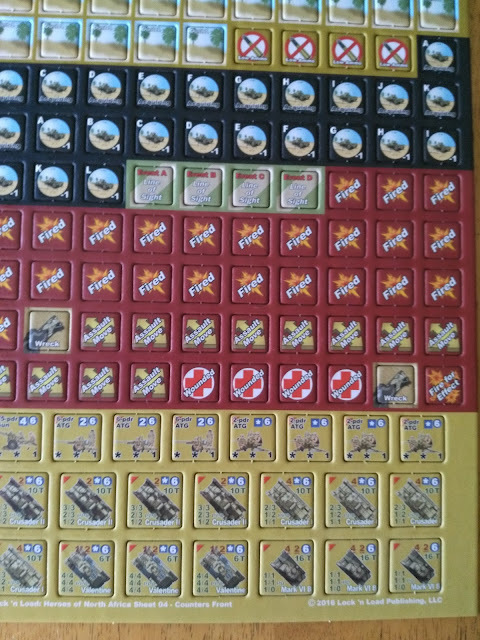 There are six sheets of 700 plus counters. The counters come in three sizes. The largest is for vehicles, including tanks, and the next size down is for artillery pieces. 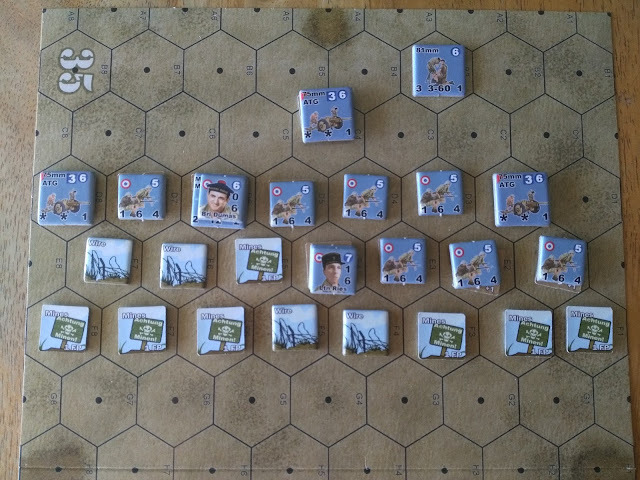 The troops and markers are the smallest and most numerous of the counters. Unfortunately, the counters are a mixed bag as far as getting them off the sprues. On two of the counter sheets, the counters popped out like they had been buttered. One of the sheets was tough to get them out without damage, and then they had cardboard flanges stuck to their middles. The other sheets were average as far as undoing the counters. The rules are what you would expect from a detailed tactical simulation. It even has rules to simulate the Italians' lack of supply and sometimes indifferent training. This is not a knock against the Italian armed forces in WW II. It was unfortunately the truth for them. Some of their forces were elite troops that you will have your hands full with, and all fought to the best of their ability. No matter how under-gunned and under-armored the Italian tanks were, they continually were in the thick of the North African fighting. The Italian army was very well equipped to fight a war in 1936. However, by 1940 and later most of their equipment was outdated. The amount of scenarios will show how much fighting the Italian Army was involved with. 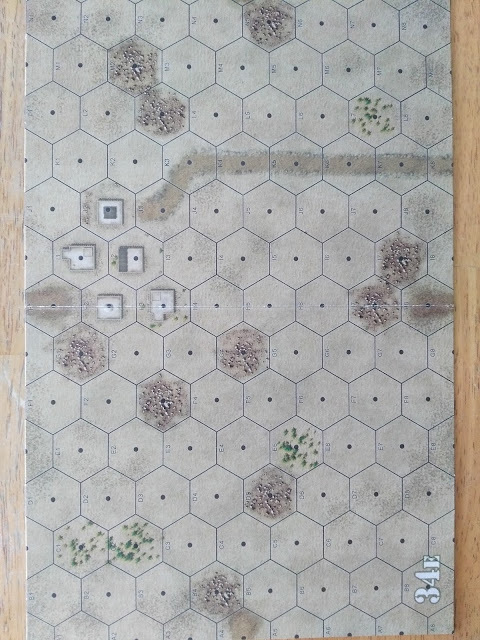 This is my first foray into the LNL 'Heroes' series of tactical games. 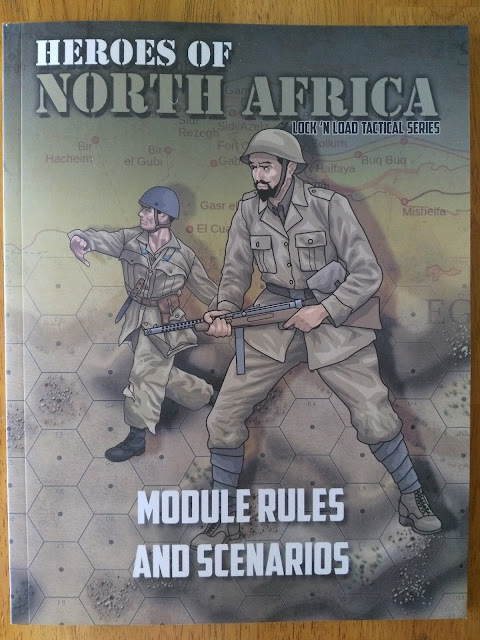 It seems like LNL is trying to supplant a game which shall not be mentioned as our 'go to' tactical wargame (don't you hate buzz words?). 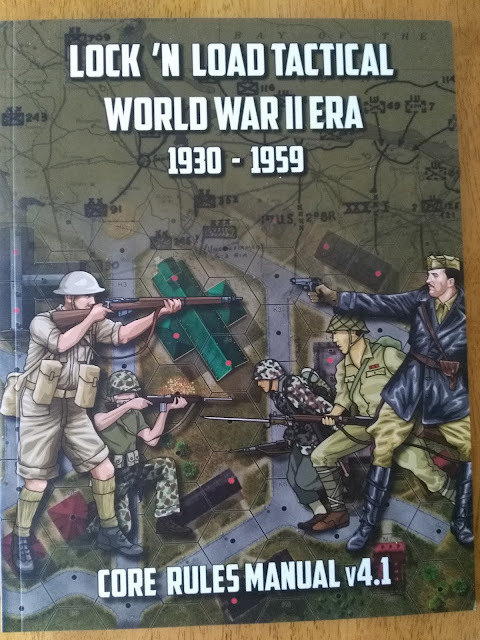 As mentioned, these core rules are for tactical gaming for the years 1930-1959. LNL has a plethora of games issued and forthcoming in this series. The Italians are brittle, as they should be. The British are stolid, and the US troops are green. The German troops and equipment are better than most, at least in the early years, unless an armadillo of a British Matilda crawls slowly into view. 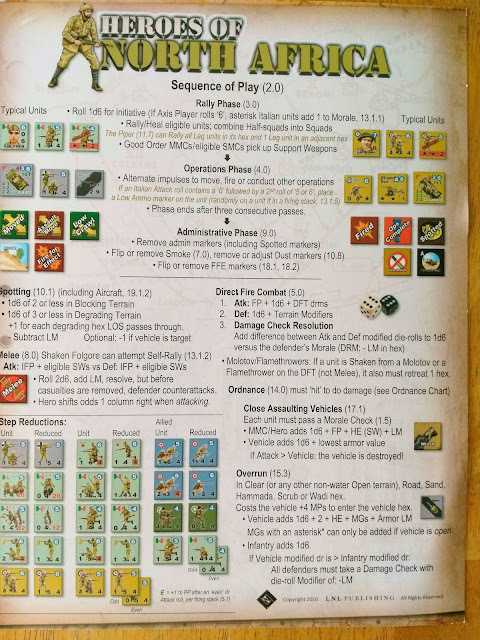 With the core rules and separate modules rules, on the outset it looks like a player would be overwhelmed. With the player's aids and the turn sequence clearly delineated it helps to ease the player's learning curve. I have to thank LNL for printing everything in large easy to read type. The play examples are well thought out and also help you learn the ropes. 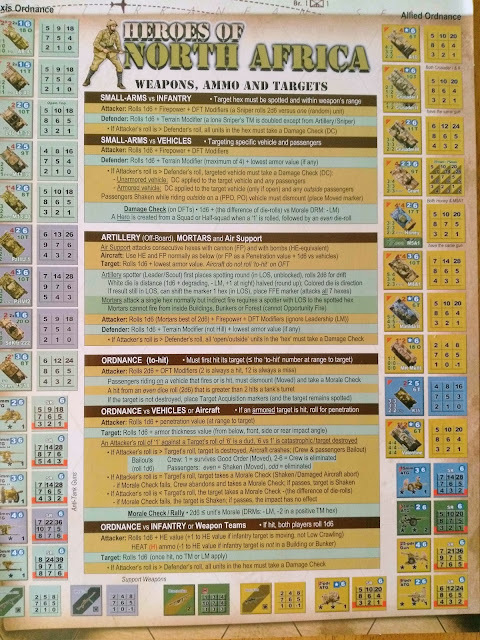 The line of sight rules are a bit lengthy and are probably the hardest part of the game rules to get right. The game does not have many votes, but its 8.44 rating on BGG I think is spot on. With the small area of play the battlefield Carnage adds up fast. Very few games now give you this much gaming in one box: Panzer IIIs and IVs, Crusaders, Valentines, and early Shermans along with French Renault 35s and of course a lot of the Italian tanks to name just a few of the pieces. The map pieces along with all of the counters for bunkers etc. 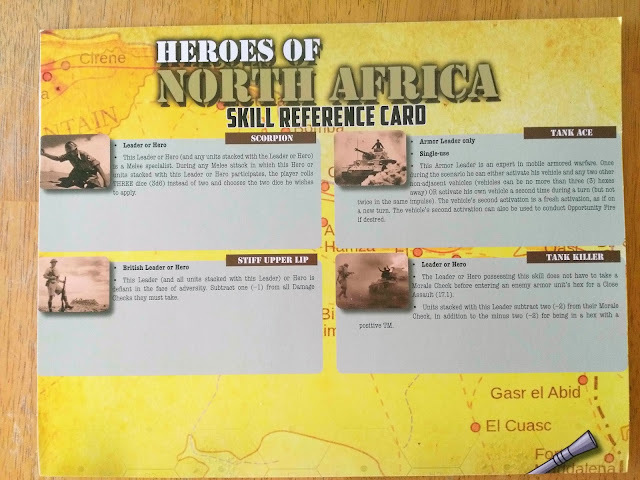 give the player the ability to play out any scenario, historical or not. Below is a setup for the scenario 'Mon Cheri I'. Italian armor is trying to break through dug in Free French forces.